A great idea emerged as two long-distance friends were casually chatting in a Facebook chat about the possibility of collaborating in business. Soon after, Aspen Grove Studios was created out of their discussion. 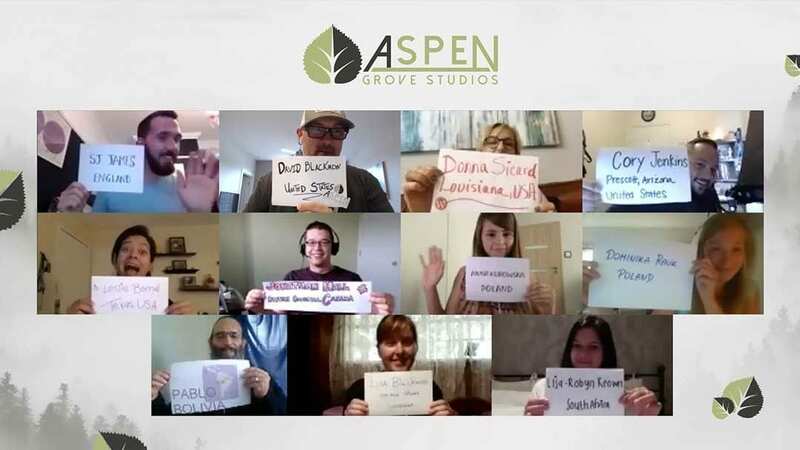 Now three years later, Aspen Grove Studios is not only a leading company in Divi products, it’s also on course to becoming one of the top WordPress companies. As we celebrate our anniversary, we’re sharing this post to recap and reflect on the past three years to give you a glimpse of our beginning to the present. Join us as we recount our highlights, top moments, changes and expansions, and also share what’s in store for the future. As a gift from us to you on our third anniversary, we’re offering an incredible promotion! To claim your anniversary discount start shopping today and use the coupon code 3GREATYEARS at checkout in any of our stores! Thank you again for an amazing first 3 years! Far away from the traditional corporate world’s landscape of board rooms, briefcases, business suits and formal handshakes, Aspen Grove Studios began in a Facebook chat. At the time, David Blackmon and Cory Jenkins independently operated their own WordPress web design businesses, Davcomm Digital and Timber Ridge Media respectively. However, through a positive rapport of sharing funny comments, numerous likes, collaborating ideas and exchanging development hints and help, these two online friends began discussing the possibilities of working together. After a few more online discussions, Aspen Grove Studios was born. Being avid fans of the outdoors, David and Cory decided to name their business after one of their biggest inspirations – nature. They also recognized that the aspen tree would be the ideal symbol for their new venture. Although beautiful alone, aspen trees radiate strength and beauty when growing together in a grove. Each tree joins the others of the grove in an entrenched root system underground, and while not apparent above the surface, they form a sturdy connection. This would later become the perfect metaphor for a remote-based company that would form a strong foundation with its members. By the end of 2015: 4 child themes and 1 plugin. By the end of 2016: 6 child themes, 2 plugins and 15 layouts. By the end of 2017: 21 child themes, 16 plugins and 33 layouts. Projected end of 2018: 23 child themes 41 plugins 33 layouts. Initially, Aspen Grove Studios began as a website service agency offering custom WordPress web builds with the Divi framework to various clients. As time passed, the company started developing WordPress products, such as Divi child themes, and WordPress and Divi plugins. As more products were released, Aspen Grove Studios became more selective with their client base, opting only to work with brands that aligned with their vision. From 2015 to 2018, Aspen Grove Studios has built over 50 custom websites for clients. Now in 2018, Aspen Grove Studios has shifted gears to focus predominantly on building powerful products for WordPress and Divi users. From 2017 to 2018, over a period of just over one year, Aspen Grove Studios acquired not one but two companies. Founded by Divi legend SJ James, Divi Space was one of the pioneering brands operating in the global Divi arena. In April of 2017, Aspen Grove Studios acquired Divi Space and underwent a lengthy process of developing new systems and designing new processes that both the Aspen Grove Studios and Divi Space brands would follow. As well as bringing SJ James into the flock as the full-time lead product engineer for Aspen Grove Studios and his first company, Aspen Grove Studios added 12 new Divi plugins to its product portfolio. Roughly a year later, Aspen Grove Studios was faced yet again with the option to purchase another company. This time it was Potent Plugins, an expert WordPress, WooCommerce and bbPress plugin development agency created by code genius Jonathan Hall. With the acquisition of Potent Plugins, Aspen Grove Studios not only added an incredible 26 new plugins to the brand, but also welcomed Jonathan Hall as the lead back-end developer for the entire Aspen Grove Studios brand. Read more about the Potent Plugins acquisition in our blog post. 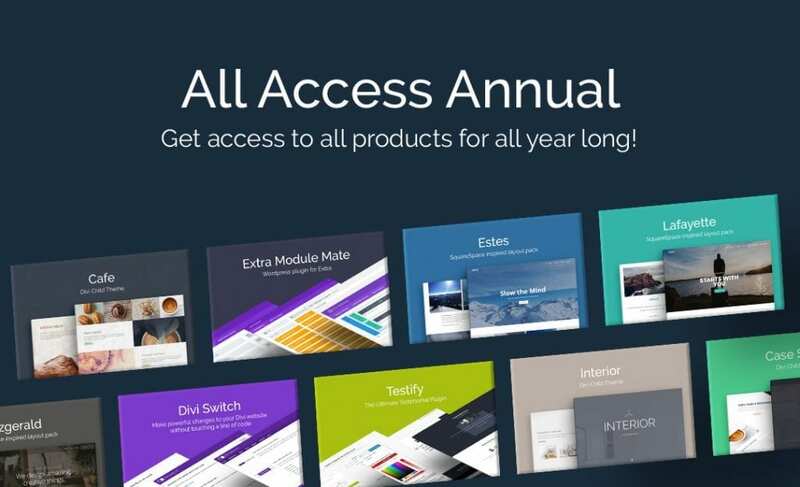 Since 2016, Aspen Grove Studios and its sister company Divi Space, have offered the most popular Divi products with the highest recorded downloads to date. Along with the current and future Divi plugins and child themes, Aspen Grove Studios will also sell a collection of deeply powerful WordPress, WooCommerce and bbPress plugins. Since the development of the Divi Demo Zone, the concept of online learning resources has changed in shape and form. With this, Aspen Grove Studios is proud to be at the leading edge of some of the best Divi, WordPress and business courses currently available. In the first half of 2018, Aspen Grove Studios, on behalf of Divi Space, has created its first online course for Divi and WordPress users looking to refine their offerings in terms of development skill. With the introduction of the Transforming Divi with CSS and jQuery Course, it welcomed over 600 happy students in three intakes over the course of just 3 months. 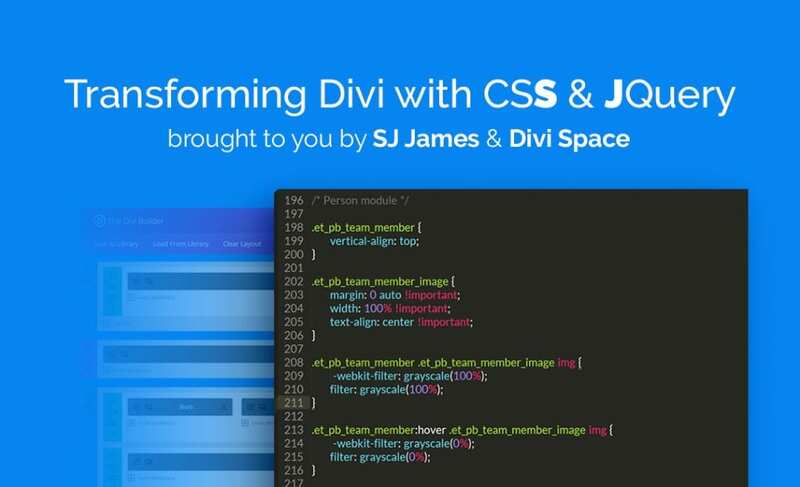 Fronted by Divi Space founder SJ James, the Transforming Divi with CSS and jQuery course has helped countless Divi users transform their Divi skill and service offering. It’s 4th and final class will be starting August 15th. The second course, Divi Business Expert, is facilitated by both Aspen Grove Studios co-founder David Blackmon, and Divi Life co-founder, Tim Strifler. Officially launching on the 1st of August, the Divi Business Expert course will impart Divi users with the necessary business knowledge and understanding that is often lacking in modern day web business dealings. In 2017, as Aspen Grove Studios acquired Divi Space, a decision was made to merge the product portfolios of both brands. In order to offer more value to customers, as well as make their purchase processes easier, our membership was launched. Now, in 2018, with the acquisition of Potent Plugins, the membership structure will change, allowing the Aspen Grove Studios house of brand to continue offering the highest level of value for its growing customer base. Once details have been finalized, we’ll publish an announcement and relink the article here. Over the past three years, we have built a number of incredible Divi and WordPress plugins and child themes. With so many products in our portfolio, we wanted to make sure that our customers would be able to get the maximum value out of our offering. With this, we packaged all of our Divi child themes, layout packs and more into a single membership. With the annual membership, customers are able to use and reuse all of the Divi products in our portfolio for an unlimited number of times and on an unlimited number of websites. Find out what’s included in our Annual Membership and join today! Often referred to as the Swiss Army Knife of all Divi plugins, Divi Switch is one of the best, most versatile and multifunctional plugins in the Divi arena. Divi Switch helps users make extremely powerful changes to their Divi websites with very little effort. Allowing Divi users to bypass hours of codework, Divi Switch lets users toggle a series of switches on or off, resulting in incredible aesthetic and functional changes. 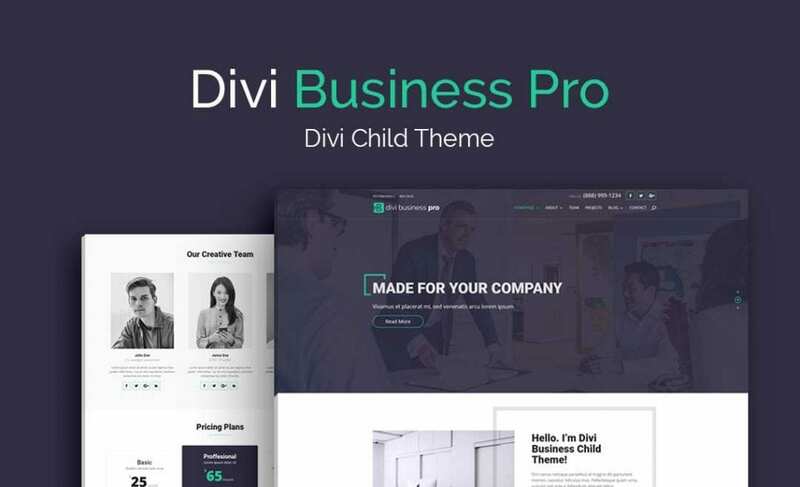 One of the best, most attractive and engaging Divi Child themes on the market, Divi Business Pro comes jam-packed with every single feature needed to create a business website. With two alternate homepage options, a beautiful portfolio display for completed work, attractive testimonial sections for showcasing positive customer feedback and plenty of engaging call to actions across the site to entice new work, Divi Business Pro is the most feature-rich child theme for showcasing a business’s product or service offerings. Build a flawless business website, purchase Divi Business Pro. 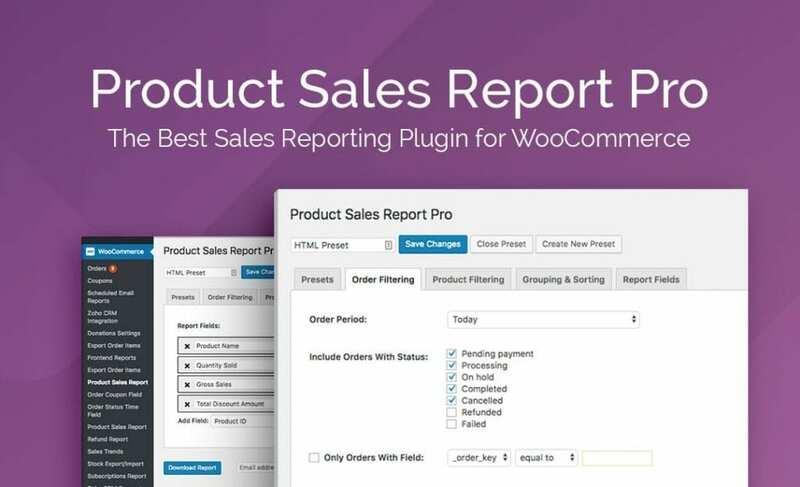 The best plugin for generating WooCommerce sales data, the Product Sales Report Pro plugin helps WooCommerce managers gain deep insights into the performance of their WooCommerce stores. Extremely easy to use, Product Sales Report Pro has plenty of data reporting options that help WooCommerce users generate sales reports in a matter of seconds. Refine your online sales strategy, start using Product Sales Report Pro today. Perfect for Divi users of all skill levels, the Transforming Divi with CSS and jQuery online course showed Divi users exactly how to supercharge their websites by employing powerful CSS and jQuery enhancements. Led by Divi Space founder, SJ James, the Transforming Divi with CSS and jQuery online course included coursework modules, additional webinars, a private Facebook group, bonus material and more. Once complete, students gain the title of Certified Divi Front-end Developer. Take your Divi web building skills to new heights. Find out more about the Transforming Divi with CSS and jQuery online course. For both David Blackmon and Cory Jenkins, the past three years have been incredible. Aspen Grove Studios was created in the spirit of friendship and developed into a creative and inspiring business built around WordPress to help people achieve their business goals too. The path that the Aspen Grove Studios brand follows is one filled with hard work, dedication, fun and creativity. 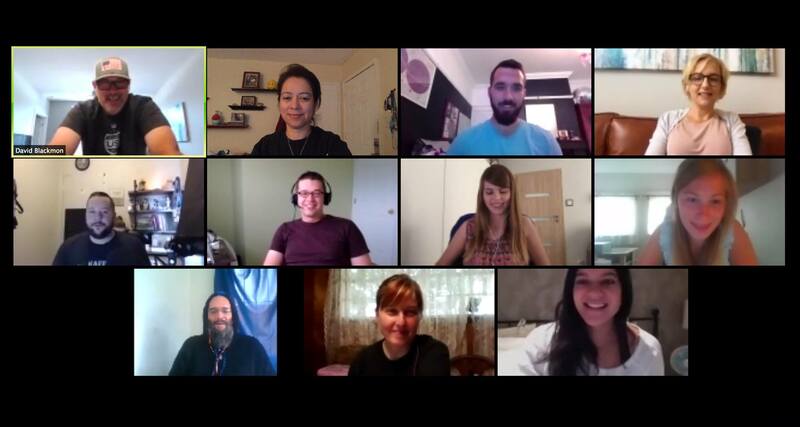 With two acquisitions under the belt, a growing portfolio of exquisite Divi, Extra, WordPress, WooCommerce, bbPress plugins and online learning platforms, as well as a solid team that loves working together to provide the best products for our customers, the sky’s the limit for this online company of humble beginnings in a Facebook chat. From the founders of Aspen Grove Studios, David Blackmon and Cory Jenkins, we would like to say a massive Thank You to all of our customers, readers, followers, family and friends. Of building a business that people love to work for, that appreciates creativity in all forms and continues to have fun day in and day out. Thank you for joining us on our journey. It has been such a wonderful adventure so far and we’re filled with restless excitement for the future. Thank you for being in our aspen grove. Thanks Tim! We feel the same way! Congrats everyone. Love what you’re doing!